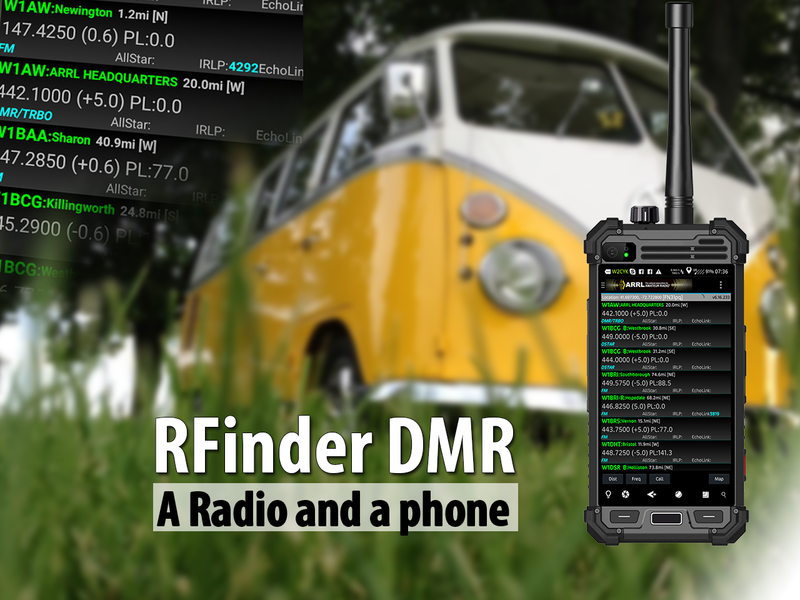 The RFinder is much more than «just» a DMR Transceiver! 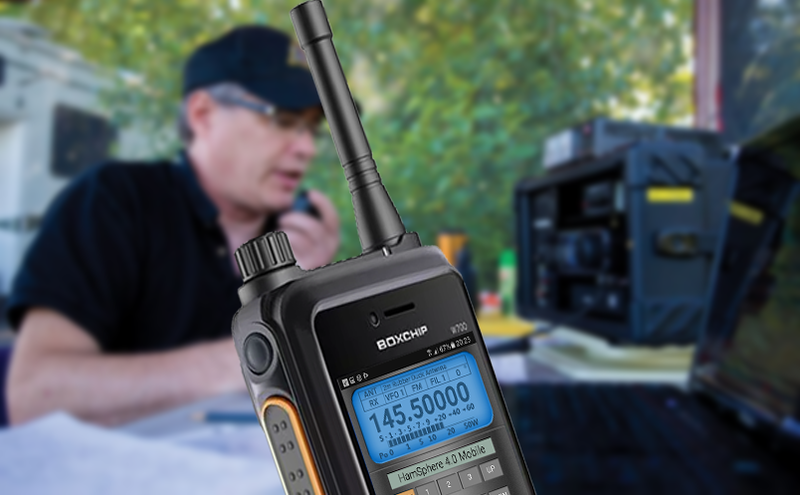 Operating VHF or UHF analog frequencies, or accessing a DMR repeater or hotspot is something you would expect the RFinder could do. 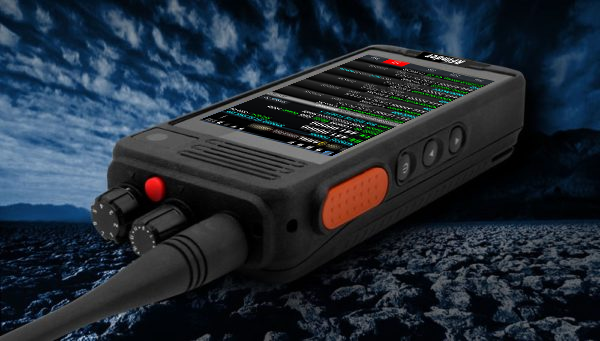 But are you really aware of all the other exciting things you can do with this amazing transceiver? 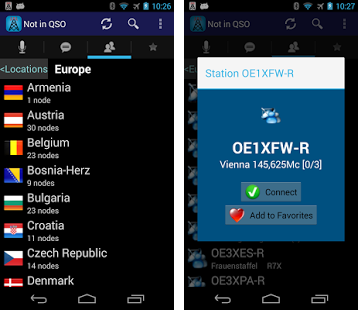 Using APRSDroid, you will be able to share your location with your ham friends across the world. Get to know where they are and what is happening in the ham world. You can send personal messages to other hams, check weather forecasts, find the nearest ham fest and be warned about hurricanes, storms and other important alerts.. 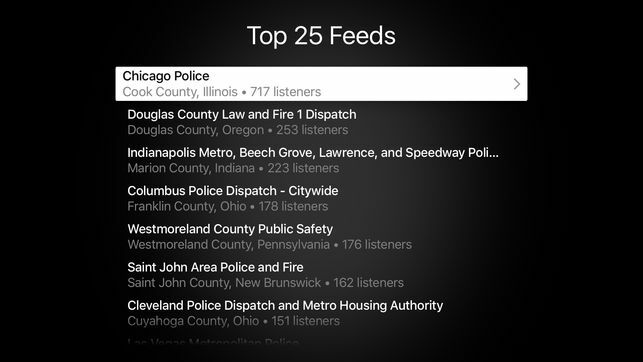 Listen to the Chicago Police, or JFK Airport ATC Tower. There are no limits. Choose whatever feed you like and enjoy listening for hours. All you have to do is to install Broadcastify on your RFinder. 3. Are you a fan of Echolink? Via 3G, 4G, Wifi or RF, the RFinder can connect you directly to your favourite Echolink node or conference. Can you imagine? Travelling the world and keep in touch with your ham friends? Forget about it! The RFinder K1 will download all the data automatically from the server so it is always updated with all the frequencies, no matter where you are. Read all about this great radio! Don’t have an RFinder yet? This campaign may end at any time! I hope all in the Northern Hemisphere are enjoying winter! And all you in the Southern Hemisphere are enjoying summer! Looking forward to Hamcation… We will have some units for sale including a few refurbished units! 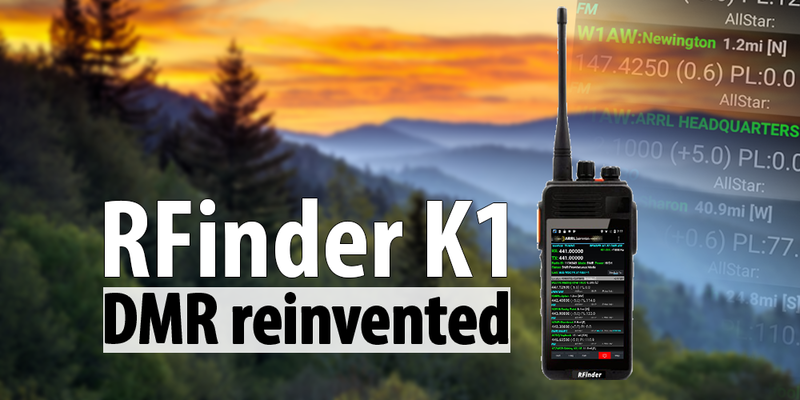 Introducing the new K1 and second generation P1 Android Radios! 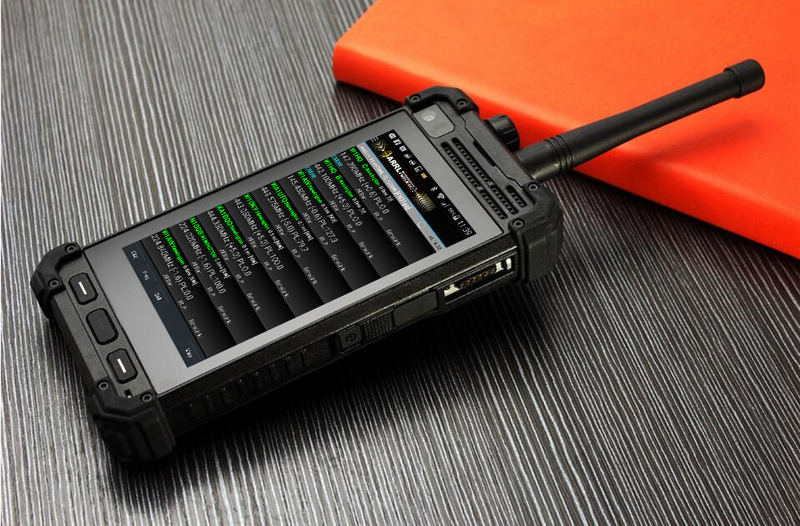 The K1 is a full featured Android Smartphone with a DMR transceiver in it. 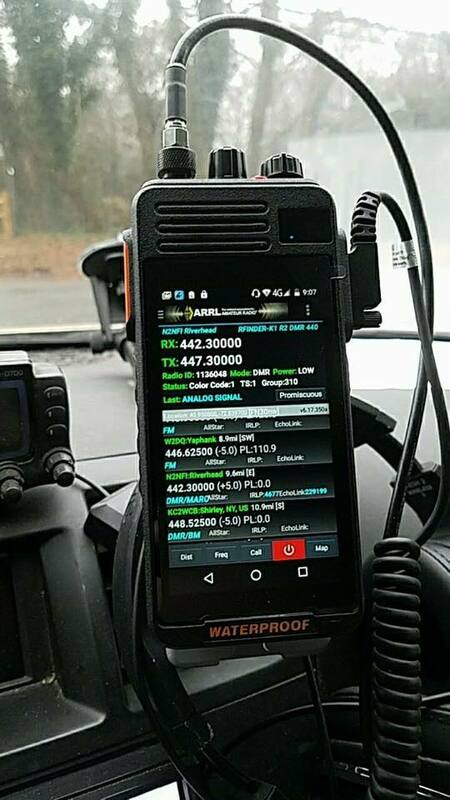 The P1 is a full featured 7″ DMR tablet! 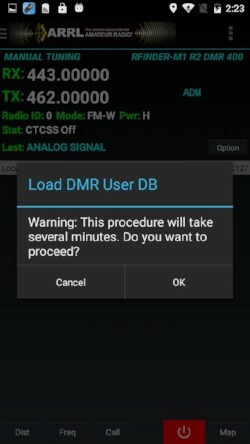 Imagine a DMR rig that just works anywhere… no programming code plugs… a rig that automatically gathers the world’s ham DMR and FM repeater data… it now exists… The RFinder Android Tactical DMR HTPhone! It just works wherever you go. New P1 7″ Hardened Tactical VHF or UHF DMR tablet with more memory and processor and RF module options are now available! 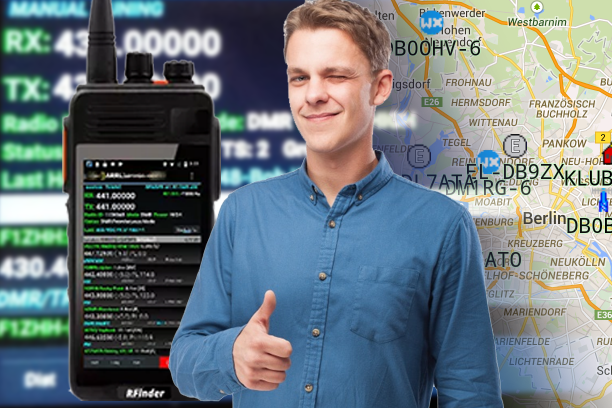 M1DV VHF DMR units finally released! Promiscuous mode is released! Point and click private calling and BrandMeister SMS going into test shortly! DMR. Analog. Android. Smartphone. Smart radio. It’s not a dream anymore. 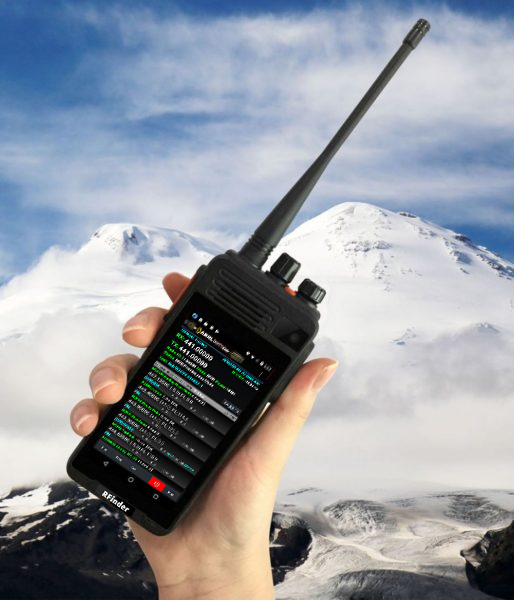 The Rfinder K1 is all-in-one Transceiver (VHF or UHF) analogue and DMR Tier 2, with an embedded 4G/LTE Android smartphone. It’s point & click features make DMR operation as easy as ever and it features a fingerprint reader. Read more about the K1. I work at a commercial 2-way radio shop in Toledo and have been there since 1982 in this profession. I have been a ham since 1995. 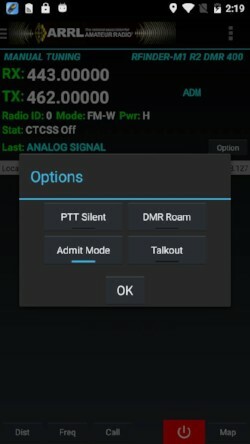 This is my review and explaination of the RFinder M1DU analog/DMR 2-way radio and android cell phone as I understand it. I have the 440 to 480 Mhz version. 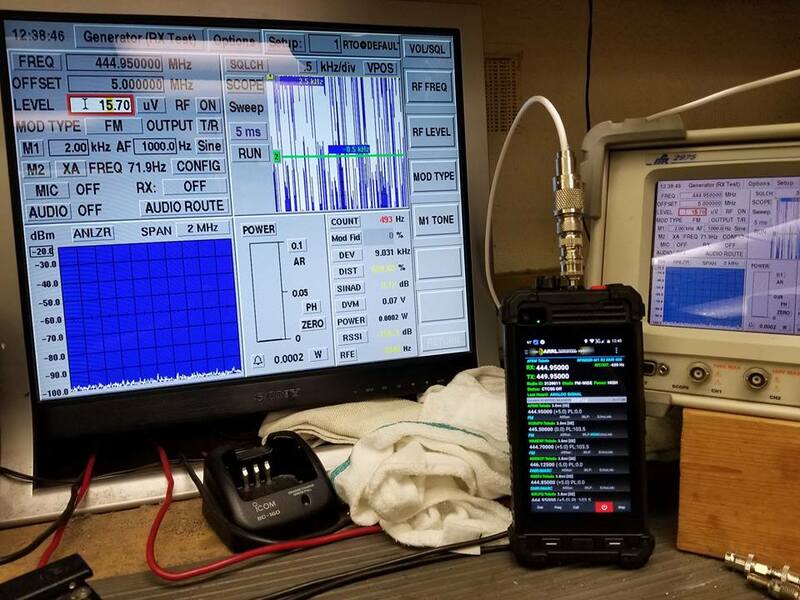 First of all it is in my opinoin a software defined radio run by the mini computer called a smartphone. It is currently running android 6.0 and who knows it might be upgraded to 7.0 someday. 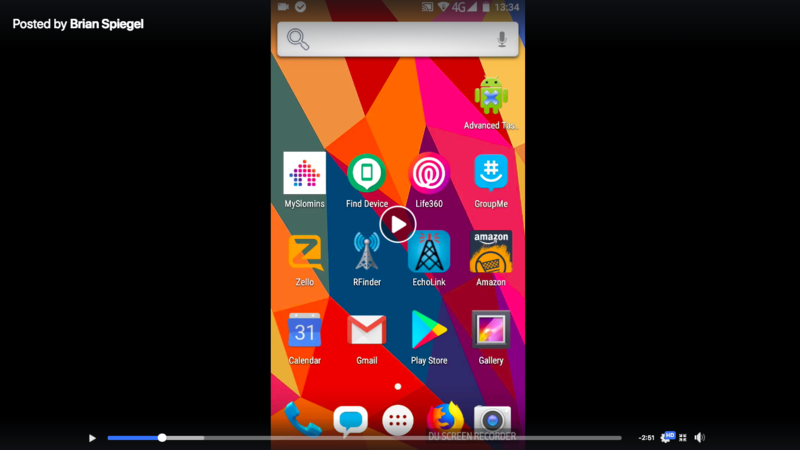 I have the (Nova launcher) app launcher overlay with customizeable icons and gestures to fully customize the user interface of the phone. As a cell phone the RFinder does a pretty good job utilizing the AT&T network in the USA and does run and support the LTE or 4g network connection. Voice quality is as good as many other cell phones. I also run the Zello PTT app for ptt radio like calls to friends over the network just as many cell phone users can do, talking quality in this mode is great also. The cellular signal quality is as good as many high-end cell phones if not better in many cases for calls and network connectivity. Now for the meat of the review – the 2-way radio portion. 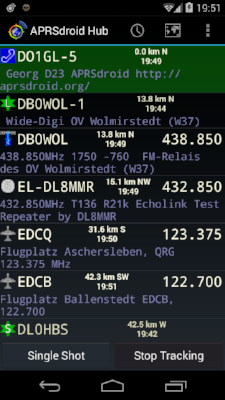 With the RFinder app up and running and connected to the internet, the repeater list is constantly updated following your current GPS location and displaying all the repeaters in your area as long as they are coordinated and the proper information is listed with the coordinatiog body of the repeater. You can set the distance of the listing from your location in the settings menu and what bands are listed as well. Much of the information Rfinder gets is also outside of those bodies scouring the web to fill in any missing information to provide the user with the most up to date listings, such as frequencies, “pl” and “dpl” tones, echolink information, system fusion information, DMR color codes and talkgroups, IRLP connections and many more. This information list is worldwide, so no matter where you go you should have the repeater list for your location. So just by selecting a repeater in your area and touching the corresponding talkgroup desired, in the case of DMR and then touching send to radio. The software sends the information to the radio module thus programming it for what you selected. You are now ready to start talking on the system selected, it’s just that simple. The RFinder application is constantly being updated by Bob Greenberg and his engineering staff, They actually listen to their customers and implement some of the changes requested. If there is a problem, just simply report it to RFinder and they will shortly in many cases have it fixed in the next release of the App. Some releases are 2 in one week. After all it is a software defined radio! Problems can be easily fixed and new features added. As the movie producers say (we’ll fix it in post). The radio performance in as good as many other DMR radios I have used. 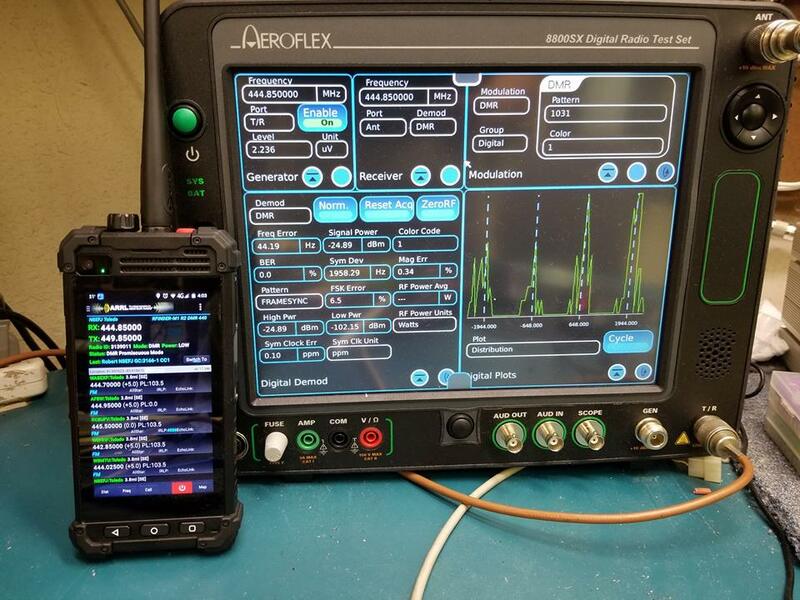 These results were attained from my 2 service monitors – the Aeroflex 2975 for analog testing and the 2017 Aeroflex 8800SX for digital testing. Receive sensitivity is .20 microvolts for both analog and DMR. The Transmit deviation on analog is 2.2 khz for narrow, 4.2 khz for wideband. The TX power out is 3.2 watts for high power on analog, 3.9 watts for DMR on high power. Low power is 1.9 watts for analog and 2.0 for DMR. DMR bit error rate was 0 or .1 % at worst. In high RF environments I do not get much intermod as with cheaper radios, that have not much in the way of front end filtering. After all I do work in the 2-way service environment where often times I’m up at a site with many repeaters on the roof or tower sites where intermod is a known problem with cheaper radios. I mostly use low power to conserve battery and the local repeater (N8EFJ) is no more than 5 miles away centered in the city roughly. I did switch to a Motorola XPR6550 whip antenna for the radio as the performance and match is slightly better than the stock antenna. Speaking of battery life, it comes with a 6200 mah battery thats 6.2 amp-hours, more than enough for a day of use. But if you have the gift to gab and somehow you do run the battery down…. you can buy a second battery and just swap it out. I mean it’s not like many phones that have a permenant battery in it, this one is removable /swapable. This has been my independant review with the RFinder radio/phone set, and yes I did buy one in May of 2017. I personally met Bob Greenberg at the FortWayne Indiana hamfest in November 2017, He is a great guy, very helpful and informative. I hope you find some of this information useful, and if I left something out please add to the review!